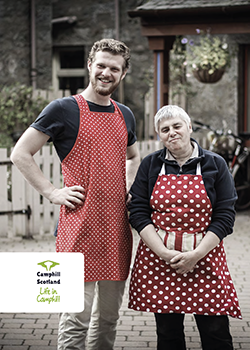 Newton Dee Camphill Community is home to almost 200 people half of whom are adults with some form of learning difficulties or special needs. The rest is made up of long-term co-workers who live and work with their families in Newton Dee and employees who run workshops or are part of the administrative team. In addition, short-term co-workers come for a year or longer to participate in the creating of an intentional community that offers meaningful work and strives towards healthy social relationships based on mutual care and respect. Now we are exploring the possibility of expanding our services to those who develop more care needs as they grow older. Newton Dee wishes to employ a Project Coordinator for Phase 1 of the Elderflower Project Initiative. To carry out research and to complete a feasibility study and business plan for the project working closely with the Elderflower Project Group which is made up of Newton Dee co-workers.